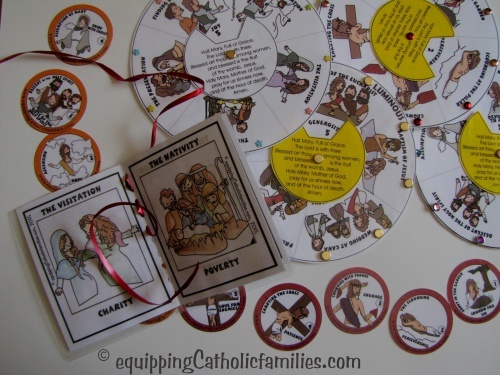 Have you started to say the Rosary as a family? 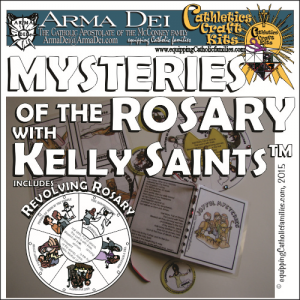 New Mysteries of the Rosary Craft Kit! Lent is upon us! Have you decided what you are going to add or give up for Lent this year? 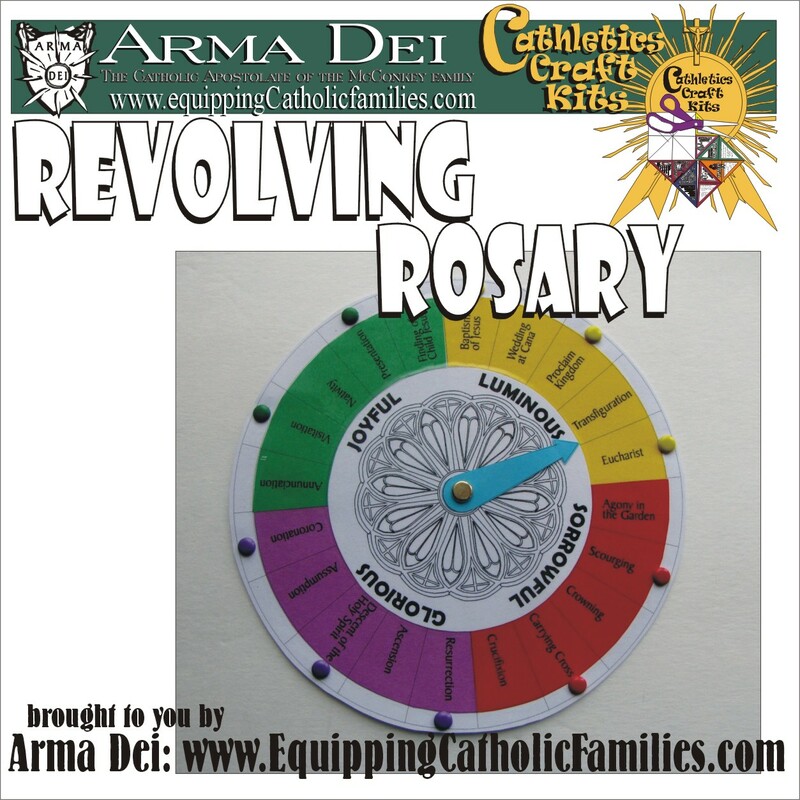 If you are thinking about adding the Rosary to family prayer time this year (even ONE decade a day!) we’ve got a NEW Craft Kit for you! 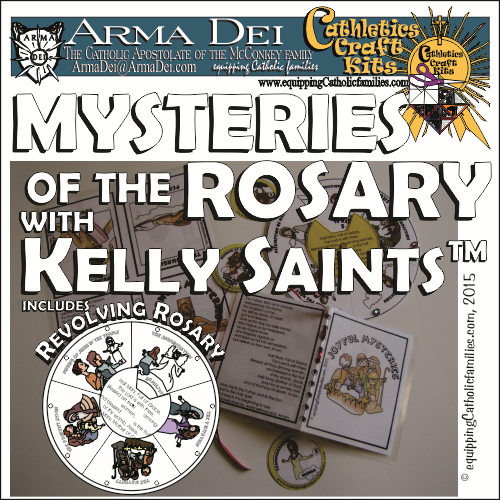 *includes fully illustrated NEW Revolving Rosary! 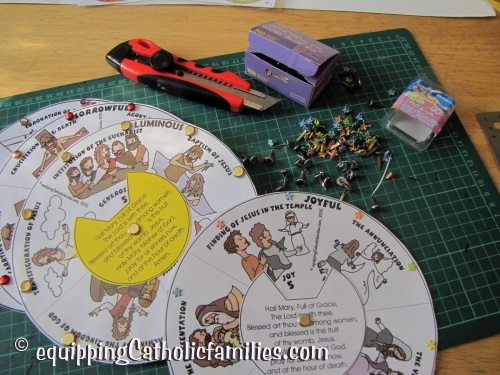 A new scheme idea to keep the kids’ attention! 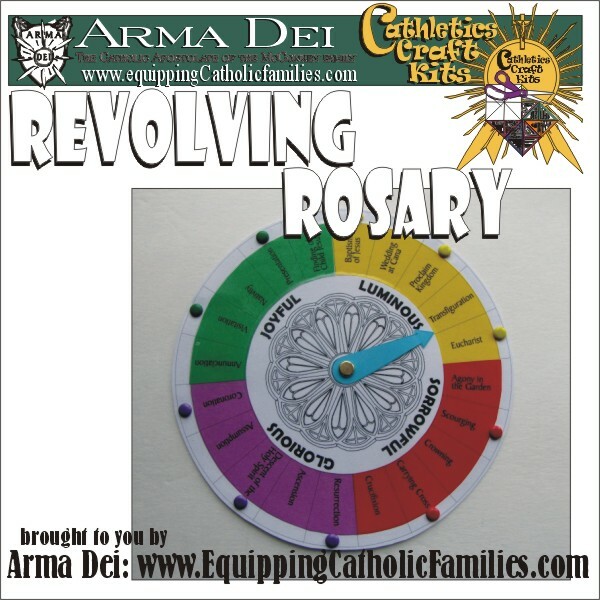 The Revolving Rosary offers a unique spinning craft to keep track of the particular Mystery of the Rosary, as well as the 10 Hail Mary prayers. The top circle frames the title and virtue of each Mystery and includes the words of the Hail Mary for quick and easy reference. Brad fasteners add a little bling…and attract the attention of the younger kids.Step by step instructions for assembly are included. 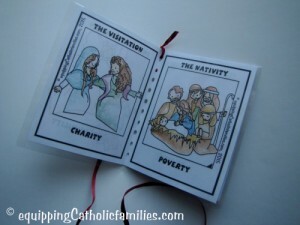 The Mysteries of the Rosary Booklets are also fully illustrated with the Kelly Saints, offering the title, illustration and virtue to pray for, for each particular Mystery. 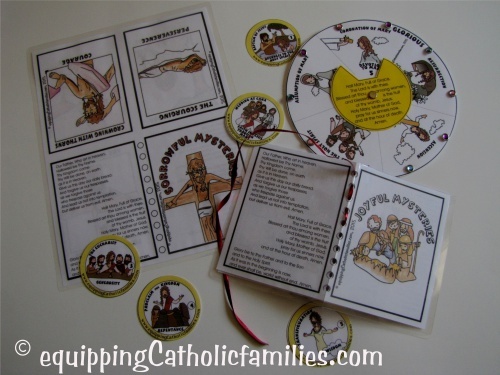 The creed and prayers of each decade are included in each booklet for easy reference and a line of hole-punched holes offer lace-up opportunities to help count the prayers. Step by step instructions for assembly are included. 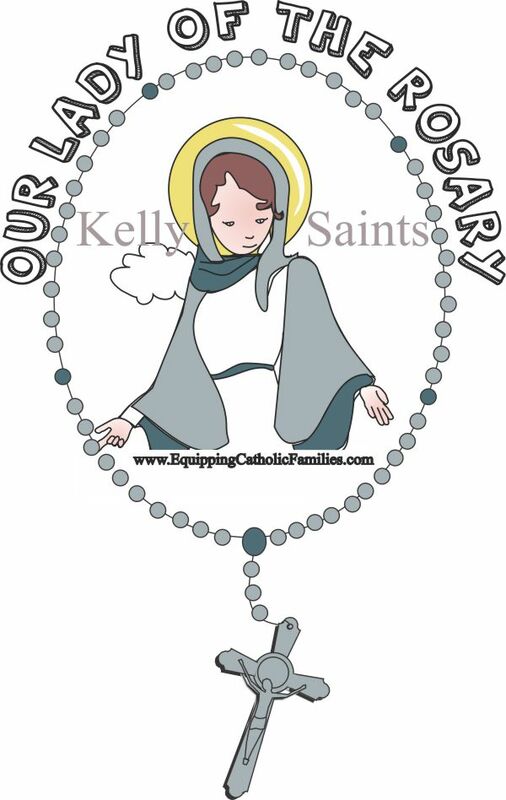 The Living Rosary / Cake Topper Templates offer 2.5″ circle templates, perfect for decorations on individual Feast Days (Annunciation, Visitation, Christmas, Presentation of our Lord, etc…) or for important markers for each prayer of the Living Rosary. Step by step instructions for assembly and suggestions for use are included. 34 pages of templates in color and B&W, along with instructions and suggestions for use.